The Scripture Lettering Class Companion Kit: Letter your way through Ephesians. 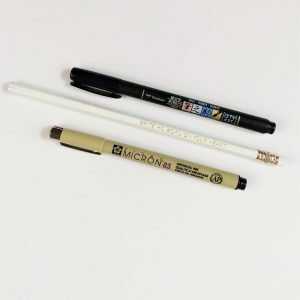 The Scripture Lettering Class Companion Kit contains all the tools you need to get started with reading and lettering Scripture. 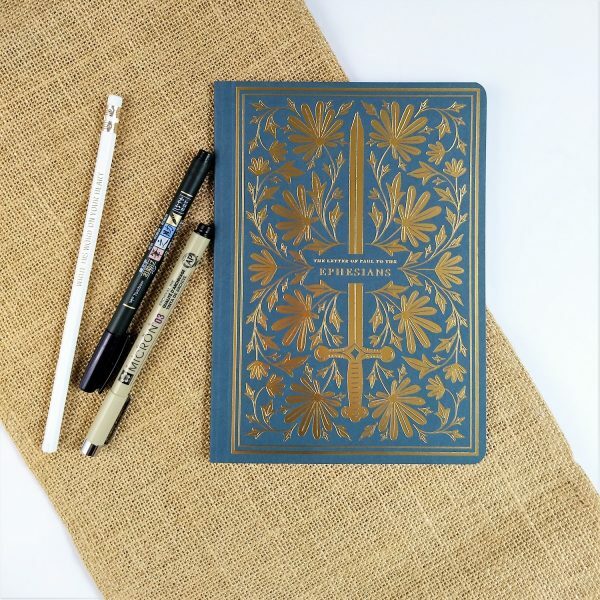 With this beautiful Illuminated Scripture Journal featuring the book of Ephesians, you can begin to practice lettering the Word with your micron pen and Tombow brush pen right alongside Scripture. 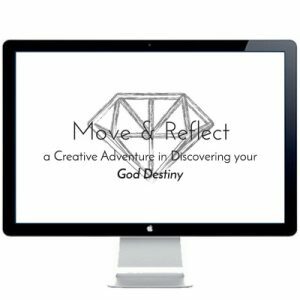 Inside the journal, you’ll find opposite every page of Scripture, a blank page with faint gray grid dots to guide hand writing and art. 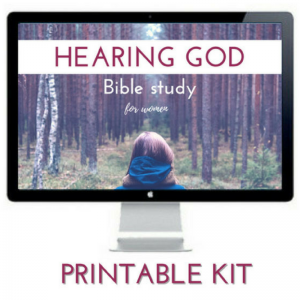 This companion kit was specifically designed for ladies completing the Scripture Lettering Online Class. It features the trusted English Standard Version. How is this different from a journaling Bible? This Scripture Journal only features the Book of Ephesians. Its paper is opaque and thick, while a journaling Bible’s is thin and semitransparent. The margins of the Scripture Journal are about an 1.25 inches while a typical journaling Bible has 2 inch margins. The font size for the Journal is 11.75 and typical journaling Bibles are around 7.5. Each page opposite Scripture contains faint grey grid dots, while most journaling Bibles have faintly ruled margins. 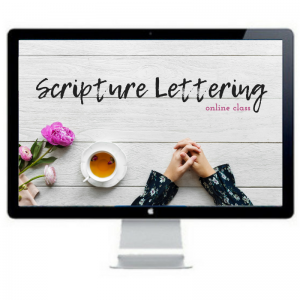 Wondering what the Scripture Lettering Online Class is? Click here to learn more about it!